We all have to become naturalists — written observation and experiment. For years I’ve known that you can get native, solitary bees to brood in a perforated piece of wood. At least so I’d heard. I drilled a number of small holes into an ancient piece of wood and stuck it into a nearby teatree bush. So we’ll see. 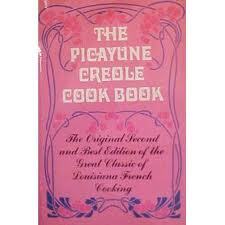 Perhaps because of our folkloric interests, the Picayune ‘s Creole Cookbook was the first cookbook George & I tried to cook from when we were first together and getting into food. What an amazing, fascinating book for us to try and learn from! 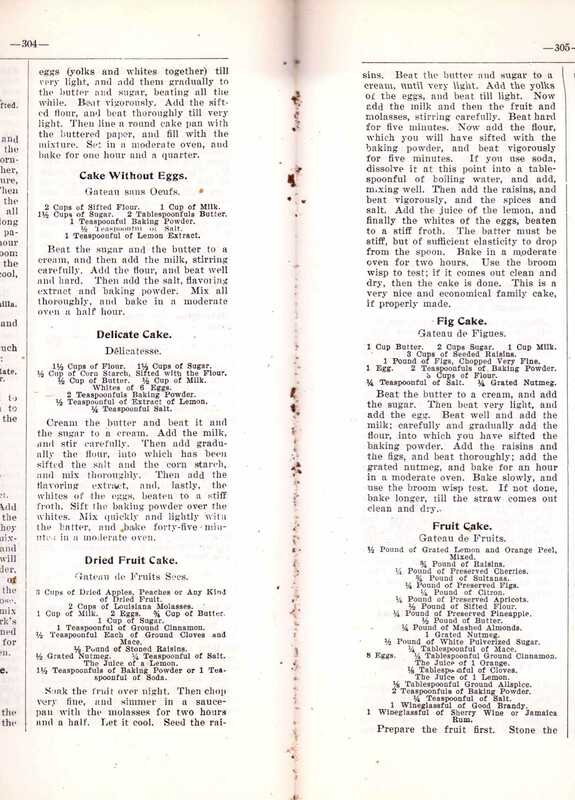 Because it was first printed in the early 1900s, as a way of preserving the original Louisiana cooking created largely by black slaves in plantation and city kitchens, the measurements were approximate and sometimes whole ingredients were omitted from the list, only to be presented in the description of how to cook the dish. There were no cooking temperatures except those approximate ones for a wood stove; and cooking times varied wildly. The first time we made a King Cake for Three Kings Day, it turned out the size of a small wading pool. But oh, what glorious recipes and what fabulous descriptions of a life long gone! We still have the cookbook and we still cook from it occasionally. I was reminded of this when reading the most recent Smithsonian magazine, about the proper way to make gumbo. Stuff I would otherwise wish I had written down somewhere when I remember having seen, read, thought or heard it. Eleanor Gould Packard, Miss Gould. The New Yorker’s “Grammarian”, “the Mozart of punctuation”. Postscript by David Remnick 2-28-05. Quinwa Custard: First try: 1.5 c Quinua, 2 eggs, 1 yolk, 1c milk, 4 cardamon pods, 1 clove, 1.8 t cinimon. Crush spices and remove rough bits, mix custard. Add to Quinua to just fill. Bake slow oven. Next time, add half of remaining custard. Chinese in Sacramento: Fr Leslie’s Illus News Je 11, 1870, Appleton’s NY Aug 20, 1873 p 257, Fr. Leslie’s Illus. Beitung Aug 9, 1878. Tal Wilkenfeld. Bass player extrodinaire. vis Cosmic Joke. This will be continuing. The sections so far: Can Vegans Eat Honey? or The Ethics of Taking Honey part two, Catch or Attract a Swarm, Beeswax, The Ethics of Taking Honey, Bill’s Bees for a Queen. Erika made a video of the previous hive: http://www.youtube.com/watch?v=WGdYGAUGwVE&feature=em-share_video_user . The question of the day is whether vegans should eat honey. Beginning with the stance against industrial beekeeping and opportunistic harvesting implicit in Lucy Siegle’s article “Ethical living: should vegans avoid eating honey?”, my thought is that it is okay for me to harvest honey from a backyard hive in autumn. I leave enough honey for them to over-winter easily. And I’m careful to give them back the second-class honey left over from processing. To harvest honey in the spring requires a more complex ethical accommodation. Bees reproduce when drones mate with freshly hatched queens. When these new queens return to their hive, the old queen and a lot of her off-spring fly off in a swarm to find a place for a new hive. Bees need lots of honey to successfully swarm and won’t raise new queens if they don’t have enough honey to start a new hive. A thriving hive might launch 3 or 4 increasingly smaller swarms each spring. The accommodation I make is to leave enough honey in the spring to allow for one strong a swarm if it suits the hive. In exchange, they get a very comfortable place to live. Catch or Attract a Swarm? I moved the hive so that the entrance faced south rather than east. Sure enough, they showed up! March 3. Scouts visted the empty hive. Many of them. Some carried off a scout they decided was from another hive — lots of initial tasting, others come to check and bother the interloper, one grabs a foot and they push the two off the side of the hive onto the ground. Once there, it looked like a damaged bee being dragged away from the entrance. They seemed very suspicious of me, under the circumstances understandably. For a moment in the late, low sunlight, I thought that the swarm might come. I wonder how big 10 gallons is and how I could manage a hive on the porch roof. And how I could manage to get a hive onto the porch roof. The potential for catastrophe is enormous. You’d want to move it after dark. Even a relatively empty hive is heavy when being hoisted with bees onto a roof after dark. If we rent the house, I’ll put the hive on the roof of the porch with a plaque saying: 2012. The bees in this hive started with Bill Lewis’s most docile queen. They have not been tended recently, so I cannot attest to how docile they are by now. 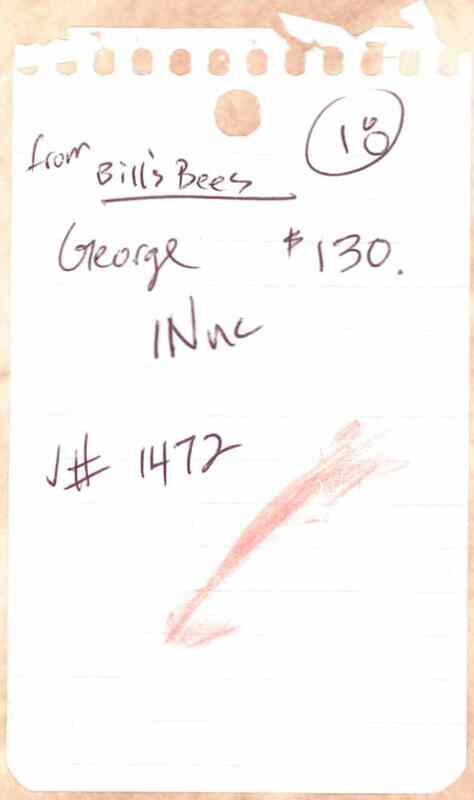 Put a notebook in the hive: Takings: month and year, # frames, kg honey; Observations : month and year, notes. Beeswax melts at 150 °F ( 66 °C ) and changes color at 180 °F (82 °C ). 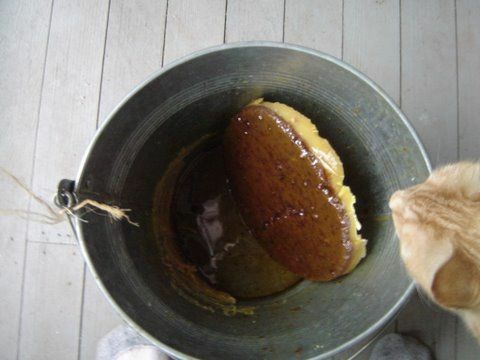 Wax taken from the hive will have lots of honey, probably some bits and pieces of bees, and some dark gunk. An easy way to make candles, it seems this afternoon, is to heat up the wax and stuff slowly in an oven. I use a normal bucket. Once it’s all melted, set it aside and leave it to solidify. Draw off the honey (it won’t be as good as honey that has never been heated, but is perfectly okay in a hoh-hum sort of way). You’ll end up with a disk with wax on top and dark brown grainy stuff on the bottom. Scrape the soft, honey-fill portion into a tray for the bees to re-harvest. Then scrape the rest of it pretty much down to the real wax. Melt again and pour into forms with fairly thick wicks. Honey is the energy source of bee breeding. Given some honey, the queen can muster a bunch of workers and abandon the hive to her daughter. This succession is right up Darwin’s line. Leave the best for the next and they will breed too. Bee keepers take honey and try to retain their productive, gentle queen. The improved gentle strain gives bee keepers an argument against wild nesting bees. May 6. Went up Little Tujunga Canyon to Bill Lewis’s on Sunday where a couple of dozen of us had come to get queens. A number of the people had dropped their hives off several weeks earlier and had strong hives already. The others of us brought brood boxes with 5 empty frames and bought a queen and five frames complete with some honey, brood and workers. This year’s dot to help find the queens is yellow. I wonder if that is specific to the provider or is a broader convention. June 8. Trying to find their way home after dark, the darlings come onto the porch attracted to the lights. My standard proceedure was to catch each of them in a cocktail glass with a card and take them to the hive entrance for release. Not a perfect solution for me if she’s banging around between the bulb and the shade. Recently, I’ve been putting a wooden spoon up to get her to walk on it. Her first sense after having something under foot is to walk toward the light. As long as I keep turning the spoon, she walks rather than flies off. October 9. Thomas D. Seeley. Honeybee Democracy. Princeton 2010. Bees reproduce by swarming. Seeley describes the science of discovering how they decide on a new hive and how they get to it. October 28. No real action in either supers. I’ll have to check the brood box next week end. Started March 7, 2012, 5:28pm.